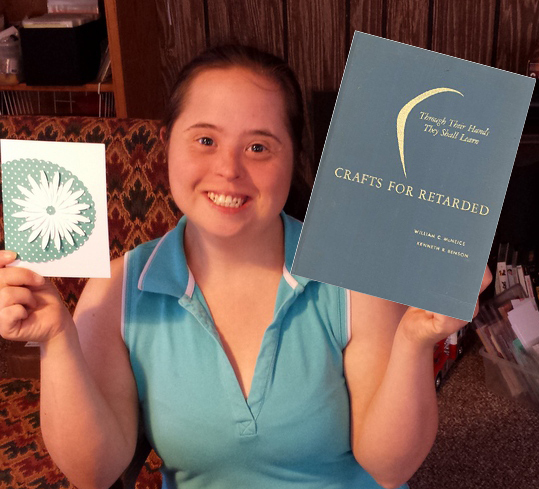 “Crafts for Retarded: Through their Hands They Shall Learn” is a book from 1964. The crafts are challenging, and one even requires a knife! If you are the crafty kind of person, but you always seem to fail at your projects, then perhaps it’s not your fault. Maybe you are just retarded. Thank god, you are only retarded, now that you know, go ahead and buy Crafts for Retarded. The intensity level rises with each page flipped, as the crafts get harder and harder to create. You will start out by coloring on a blank piece of paper, and by the end of the book, you’ll be able to make your very own retarded origami pet! If you aren’t stoked enough to buy this book just yet, wait until you hear the best part. This book will force the mentally challenged folks in your life to stop asking you for help. This book empowers the retarded, giving them an ego boost that only adds to their super human strength. Trust me when I tell you that you need Crafts for Retarded in your life!